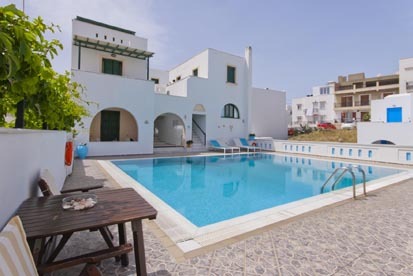 Hotel Aegeon has been built right next to Hotel Iliovasilema and it is situated just 40 metres from the sandy beach of Saint George in Naxos Greece and it is an accommodation with excellent service and a wide range of facilities and services. 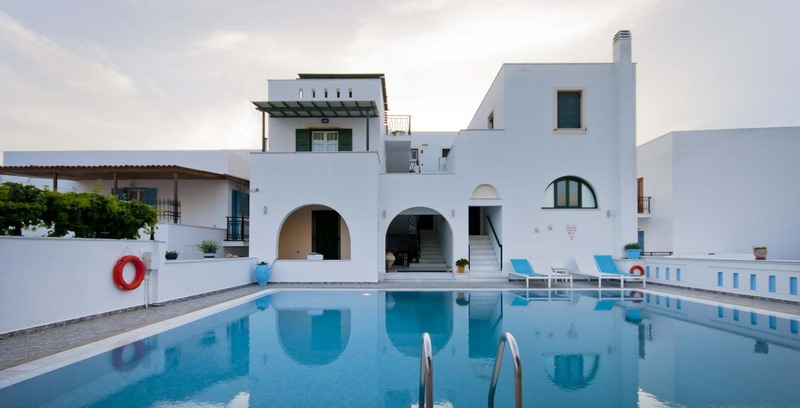 It is right next to all amenities and makes an excellent accommodation for enjoyable holidays. Saint George beach is the first choice for those staying in Naxos Town and the area offers lot of on the beach entertainment. 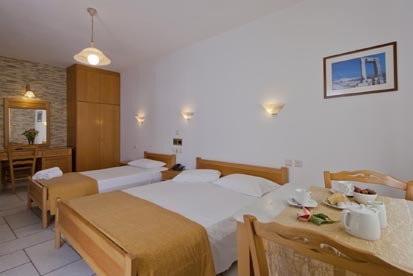 The Aegeon hotel consists of 11 fully furnished studios, 7 of which can accommodate 2 or 3 persons with 1 extra bed, 2 of which accommodate 3 or 4 persons with 1 extra bed and 2 Quadruple Studios. Both Iliovasilema and Aegeon Hotels form a unique complex with a wide range of facilities such as swimming pool, sauna and gym that attract all kinds of visitors and all ages. Naxos, the island of Gods. Naxos is the largest island of Cyclades and among the most famous destinations for travelers summer vacations, due to the endless beaches and the delicious local cuisine. 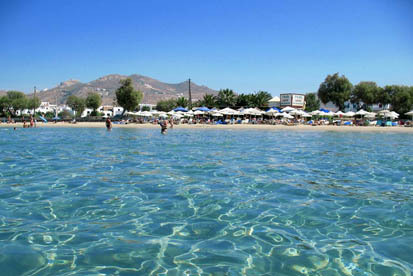 However Naxos is not just that. We can help you in any question. So feel free to send us an email or call us.